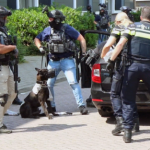 The multiple stabbing in The Hague, The Netherlands on May 5th, was quickly dismissed by authorities as not terrorism-related (as we traditionally do in The Netherlands, whenever a Muslim is involved). The Hague mayor Pauline Krikke was quick to issue a statement proclaiming “there were no indications that any other factors are involved”. Now it turns out, police were warned in March about the attacker’s intentions of carrying out a “terrorist attack”. Anybody who has taken a critical look at the facts already needed no convincing: the attacker, appearing of North-African or Arabic descent, shouted “Allahu Akbar” after being downed by police, and one of his victims was stabbed in the neck, with eye witnesses claiming that victim’s throat was slashed. 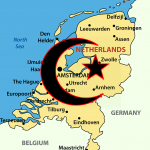 One day after the attack, which was explained away as a random act by a “confused” individual, we learned that the attacker was a so-called “refugee”, immigrated to The Netherlands from Syria. 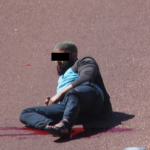 He had been granted asylum, even though the authorities also stated that the man was known to them for deranged behavior. Now we learn that we are in fact dealing with yet another terrorist refugee. The three victims have all been released from hospital and are recovering. The same thing happened with the attack in Amsterdam, in which a Muslim carrying a Palestinian flag demolished a Jewish restaurant in December 2017, shortly after President Trump’s decision to move the US embassy in Israel to Jerusalem. 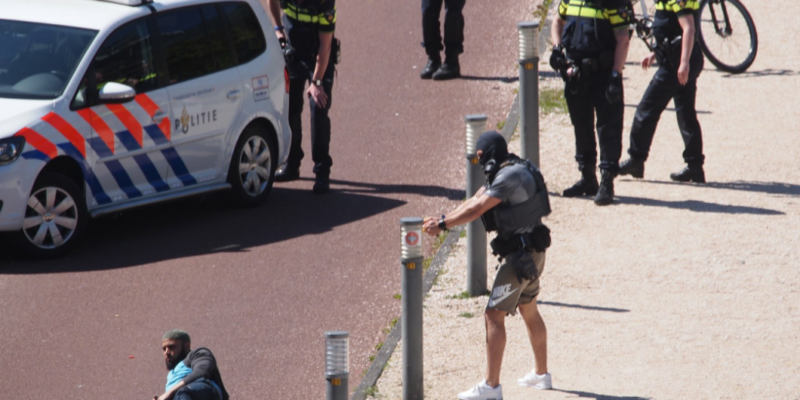 This attacker also turned out to be a Syrian “refugee”, and earlier this month it has been reported that Amsterdam authorities were warned about the man “radicalizing”, but he was referred to mental health specialists rather than anti-terrorism units. 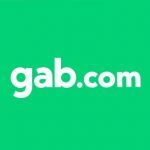 The man will be charged with destruction of property and theft, as the courts have decided not to charge him with terrorism.